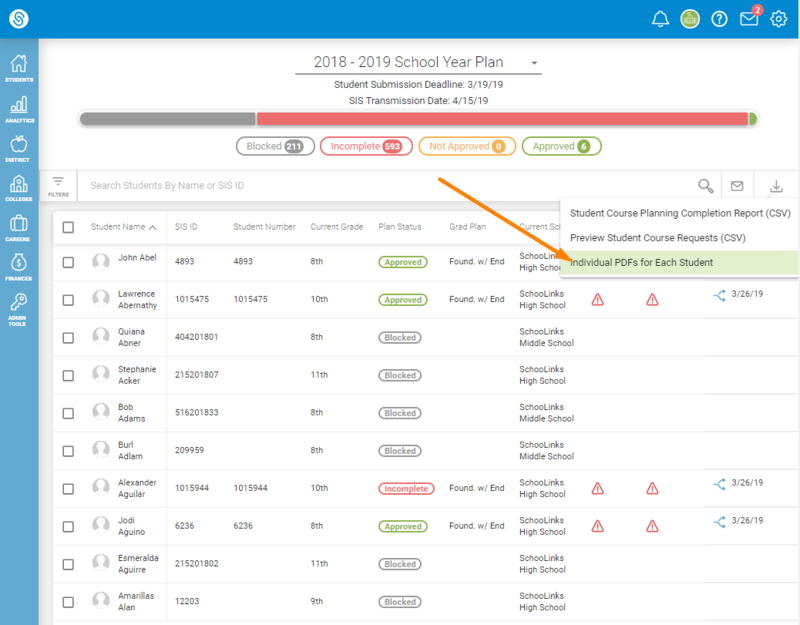 Counselors should use this feature to download PDFs of each student's course plan to print, send to guardians, etc. To access Course Planner, hover over the Apple icon on the navigation bar on the left, then select Course Planner from the dropdown menu. An email will be sent to your district email containing a link to download the PDFs.